The success of Daft Punk in 2013 continues. The French electronic music band, which has had an amazing year, has been given the Entertainment Innovator award by American publication The Wall Street Journal. 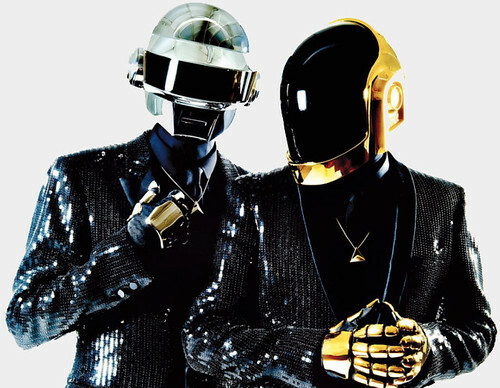 The bands duo -Thomas Bangalter and Guy-Manuel de Homem-Christo- was presented with the award by Brazilian model Giselle Bundchen and hip hop star Pharrell Williams who collaborated with them on the track “Get Lucky”. Bundchen appeared on the cover of the Wall Street Journal’s Innovator issue alongside Daft Punk. The pair released their first album – “Random Access Memories” in almost a decade earlier this year. Along with Pharrell, the band also collaborated with Nile Rodgers, Todd Edwards and Giorgio Moroder on the EP which reached platinum in six different countries. It was also UK Amazon’s best selling vinyl album of all time. “Get Lucky” sold around 3 million copies in the USA and more than 1 million in the UK. Daft Punk gained popularity in their homeland of France in the 1990s before they released their first album – 2005’s “Human After All”.